In a large skillet over medium heat, melt butter. Add onion and garlic and sauté until onions are translucent, about 5 minutes. Add flour and stir for about 1 minute. Gradually whisk in the milk until sauce is thick and smooth. Stir in black pepper, frozen mixed vegetables, ham and parmesan cheese. Mixture will be thick. Pour into 9 x 13 baking dish. Smooth mixture into baking dish. 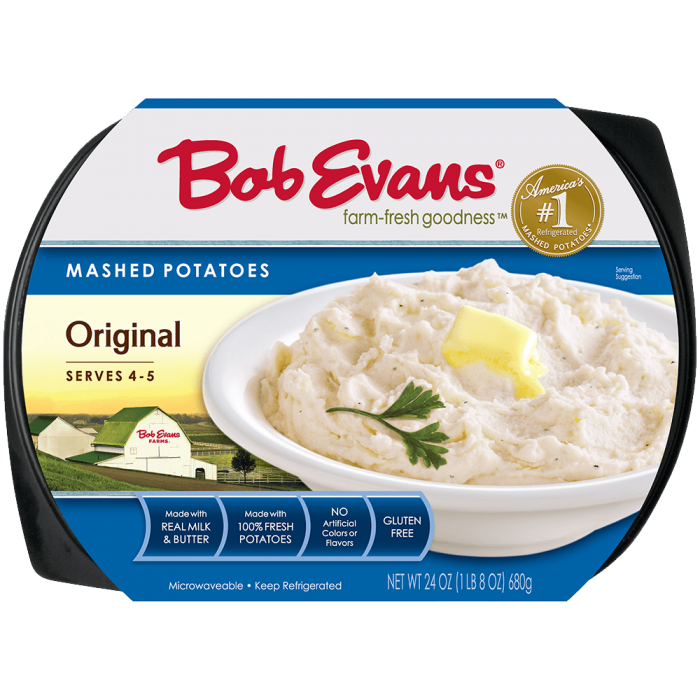 Remove board overwrap and film of Bob Evans Original Mashed Potatoes and carefully spread on top of the sauce mixture. Unfold the thawed pastry onto a clean lightly floured surface. Roll out puff pastry slightly and place over the filling. Press the pastry to the rim to seal. Brush the pastry with the beaten egg and cut slits into pastry. 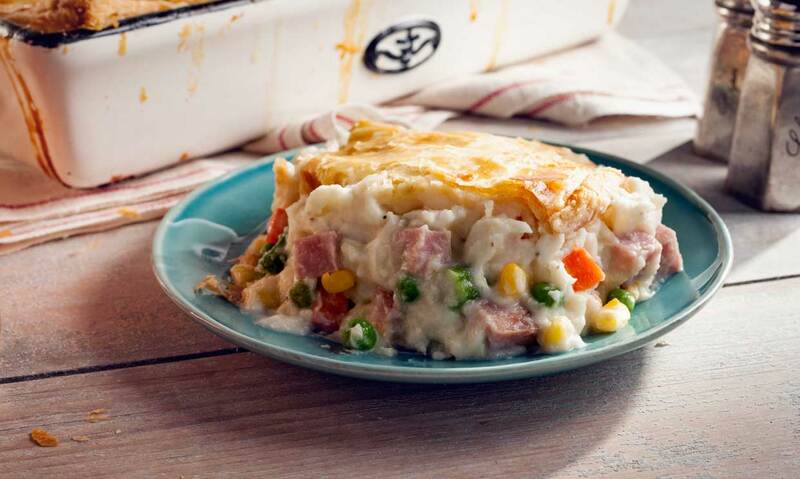 Bake for 40-50 minutes or until puff pastry is golden brown and the filling is hot and bubbling. Let cool for 10 minutes before serving. 2 In a large skillet over medium heat, melt butter. Add onion and garlic and sauté until onions are translucent, about 5 minutes. 3 Add flour and stir for about 1 minute. Gradually whisk in the milk until sauce is thick and smooth. 4 Stir in black pepper, frozen mixed vegetables, ham and parmesan cheese. Mixture will be thick. 5 Pour into 9 x 13 baking dish. Smooth mixture into baking dish. 6 Remove board overwrap and film of Bob Evans Original Mashed Potatoes and carefully spread on top of the sauce mixture. 7 Unfold the thawed pastry onto a clean lightly floured surface. Roll out puff pastry slightly and place over the filling. Press the pastry to the rim to seal. Brush the pastry with the beaten egg and cut slits into pastry. 8 Bake for 40-50 minutes or until puff pastry is golden brown and the filling is hot and bubbling. Let cool for 10 minutes before serving.